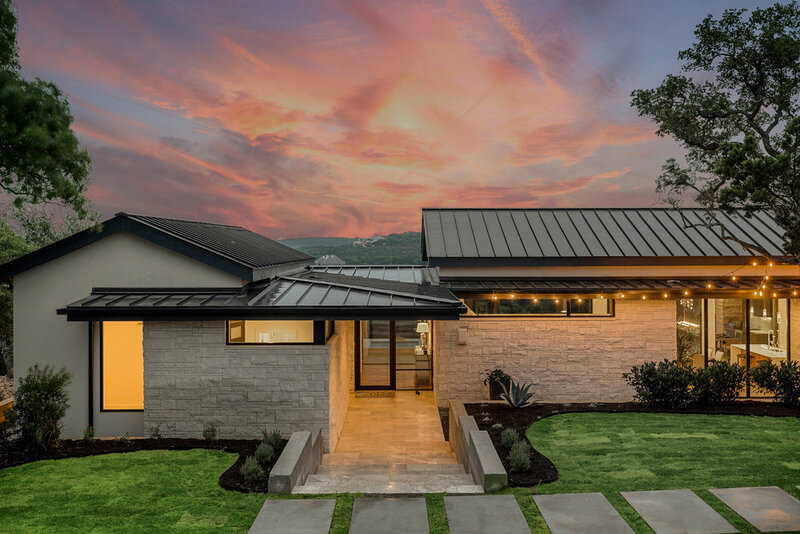 When it comes to doors and windows, and outdoor design, no word captures the end goal better than “seamless.” Whether installing large sections of glass for an unobstructed view, or pocketed doors and recessed track systems for a smooth inside-out flow, windows and doors of today are all about uninterrupted design. The Windsor pocketing, multi-slide door, used here on Amarra Drive, is known for its unlimited design flexibility and more than 40 exterior finishes to choose from. 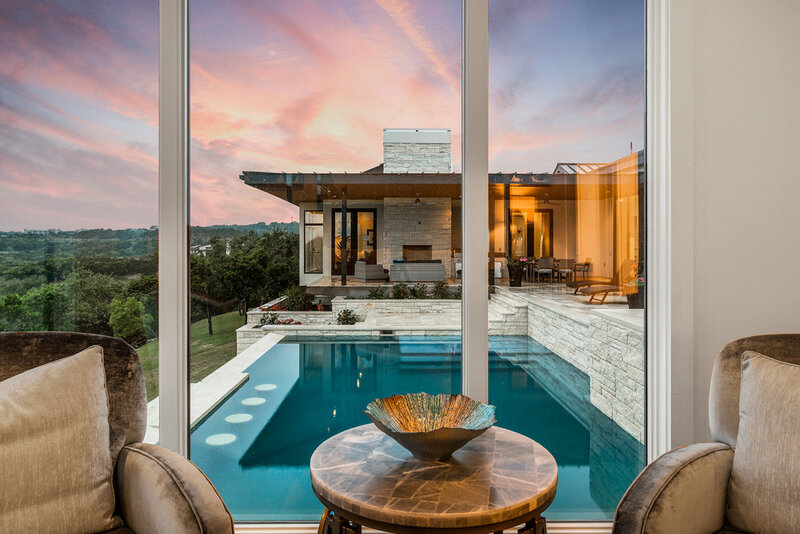 This home beuatifully incorporrated expansive glass allowing the homeowners to take in the beautiful sunsets of the Texas hill country. 2.The large Windsor Pinnacle Clad windows take full advantage of the beauty of outdoor living while inside. This home is a great example of how the once-perceived traditional, clad wood windows can work a sleek contemporary design.